Interview with The Royal Ballet's Merle Park in 1979: Green Park, Hyde Park or Merle Park? Home › dance › Interview with The Royal Ballet’s Merle Park in 1979: Green Park, Hyde Park or Merle Park? Interview with The Royal Ballet’s Merle Park in 1979: Green Park, Hyde Park or Merle Park? I thought, Goodness, I must have arrived! In 1979, she was contemplating the winding down of her career, and left an interview with a British women’s magazine. She was 42. Yes, I’ve been lucky. But then never a day goes by when I don’t realise it. Throughout my life, everything seems to have fallen into place and worked out for the best. Oh. I certainly count my blessings! 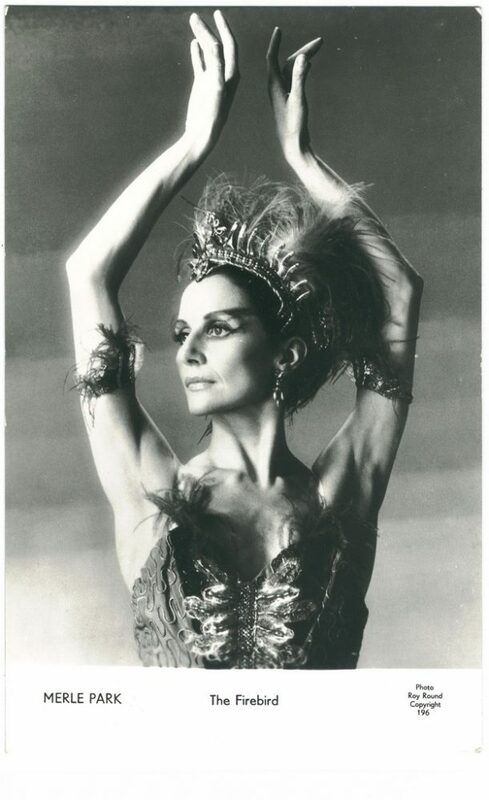 At the time of this interview, she was preparing for a new Kenneth MacMillan ballet at the time, La Fin du jour. So it’s jolly nice to be doing a ballet at this particular time. It’s super just to be wanted in a new ballet, let alone now, at the end of my career. It’s the way I always hoped it would be. I think it takes a Margot to do that. But I just wouldn’t be able to do it physically. The worst fact of life for a dancer is that the body will just not hold out indefinitely. Physically, things start to change. I’ve got arthritis, and I’m suffering from several old injuries, especially my feet. I started ruining my feet in Rhodesia when I was five, by being carried on the back of bicycles and catching my feet in the spokes. No doctors were handy out there, because we lived in the country. I’m obviously astounded that I can dance at all, because when my ankles and feet were x-rayed they were seen to be just full of odd calcified bone… that then that applies to a lot of other dancers. I’m a cripple really, yet I’m a good advertisement for anybody who simply wants to get up and move, because if I can do it anybody can do it. For various reasons, we’re terribly accident prone. As a dancer, you work so hard and you get tired, and you have to work through a lot of your tiredness, one ballet after another. My dear, most people couldn’t walk with some of the pains we have to suffer, let alone dance with them. Yet dance we do; dancers come out on stage with three strappings on the left leg, their back in a bandage, and nobody but they know what agonies they’re enduring. And so, for all these reasons, I’ll probably give up next year dancing pure classical roles like Princess Aurora in The Sleeping Beauty, and Swan Lake too. I don’t get any pleasure from them. I get nervous. They really are huge chores, just medicine to be taken. Each time I do them I say never again. If I could be given enough of the acting roles, like Juliet And Manon and Katherina, I’d give up all the others like a shot. Although, on the other hand, there’s nothing I enjoy doing more that Frederick Ashton’s Symphonic Variations, and that’s pure dance. Does it seem like 25 years? More like 25 days. It’s just amazing. Well, in some ways, it is like 25 years, because I’ve had the most super career. I started with Lynn Seymour, Antoinette Sibley, and Doreen Wells, when Ninette de Valois was running the company. She was such a great lady, so human. Oh, she pulled out all the stops in rehearsals – she was a noted disciplinarian – but then if you had to talk to her about anyting she was marvellous. I rather fancied myself as the French dancer Zizi Jeanmaire, so I thought I’d be Merle André; or Merle Winson, because it was Mother’s maiden name. I also loved the sound of Denver, Colorado, so I thought I could be Merle Denver. Next day, as asked, I went to see de Valois, and she said, “Well, have you thought of a name?” I said, “Well, Madam, there are three that I thought of: André, Winson, or Denver.” She was flabbergasted. “Keep Park. It’s much better.” I never heard another sausage about it. Merle Park was petite and a naturally slim dancer. When she was seven, though, her mother was worried about her skinny child, and took her to a doctor. He suggested horse-riding or dancing, and as there were no horses nearby, I took to ballet because there were hundreds of teachers. I went to ballet lessons and I did tap, and acrobatics. After a bit I hated the tap, and I gave up acrobatic because I hurt my back, but I continued the Greek dancing, which I loved, and the ballet. I think I loved the Greek more than the ballet. But she didn’t put on weight. On top of everything, I had rheumatism and rheumatic fever, and later on I had a very slight tough of polio. I’ve had to persevere, and to push myself, energy-wise, more than anybody should be expected to. In the end, as a young girl, I did put on weight. I was quite fat, actually. But after I had Anthony, my son, I got very thin. I desperately tried to put on weight, but as a dancer, you know, it’s such a funny life, often working right through lunchtime, which you then skip. Very often, after the performance, I’m not hungry. I hate going to restaurants after a performance… that’s one of my pet dislikes, going to restaurants. That’s not always true: on holiday I love it, because there is time. I just find it boring, the whole ceremony, like waiting for the bill. I like everything done in a minute. I’d rather buy a hamburger and eat it in the car going home. Dame Merle Park will celebrate her 80th birthday on 8 October this year. 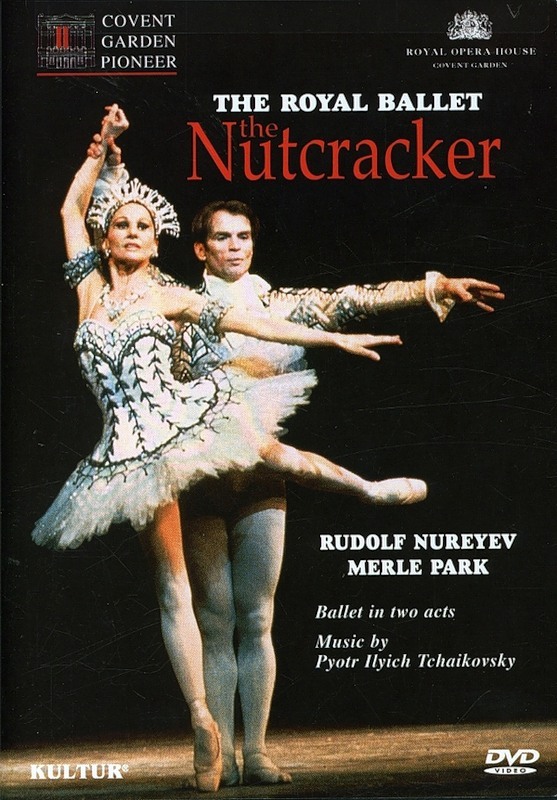 Among the many roles Merle Park created for The Royal Ballet are Clara in Rudolf Nureyev’s 1968 The Nutcracker; “Stop Time Rag” and “Bethena, a Concert Waltz” in Kenneth MacMillan’s Elite Syncopations (1974); Countess Marie Larish in MacMillan’s Mayerling (1978); Isadora in MacMillan’s Isadora (1981); and Voices of Spring, choreographed by Frederick Ashton.